For those who serve in the farthest reaches of Africa, God’s graciousness is a moment by moment sustaining presence in their lives. Providing financial relief for some of our most needful flights is one way AIM AIR helps extend the grace of God to servants like these. AIM AIR’s “Wings of the Dawn” is a flight subsidy fund for select operations determined to be worthy and necessary, and where other funding is unavailable or inadequate to meet the operating expenses of the flight. Gifts to AIM AIR’s Wings of the Dawn Project help us to reach farther for less, enabling missionaries to go to some the most difficult places on earth. These gifts might even save a life. AIM AIR’s subsidy fund keeps the airplanes flying when financial constraints would otherwise keep them in the hangar. Sudden and traumatic, evacuations are by nature unplanned events. The people we serve are family to us, and we never want to be in a position of deciding between a life, and an account balance. A medical crisis, political unrest, the threat of violence… when a call for help comes in, our desire is to launch an airplane. Meeting the cost of that flight is a secondary thought. Many of the people we serve will have no problem covering the cost, but for some it may be impossible. In these cases our flight subsidy fund, like the airplane, saves the day. Among those we serve are African church workers who do not have a support structure like a western missionary. When AIM AIR flies these humble servants, it is usually by the generosity of other missionaries who tap into their own logistic’s budgets, or by donations to our flight subsidy fund. Enabling African Christians in their work is a privilege we are happy to take part in. 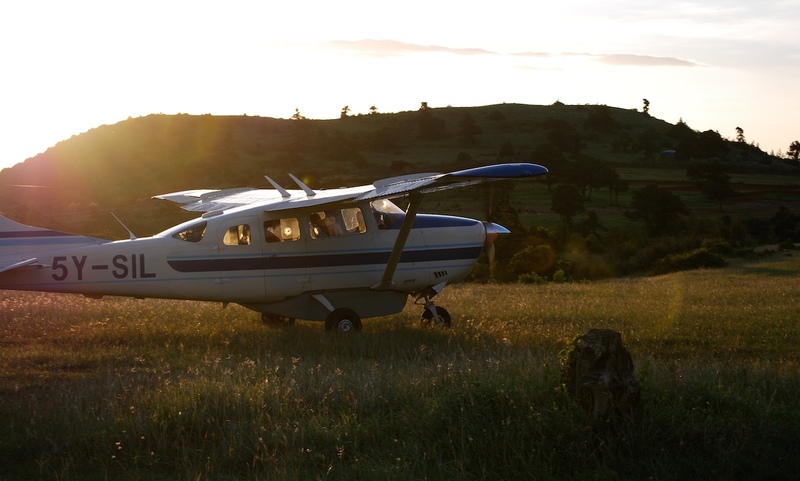 The missionary work AIM AIR supports is often in remote or dangerous areas. Some places are more remote than others however, and for the pioneering families who go there, using the airplane can be disproportionately expensive. Transport to and from their locations, regular supply runs, and flying their children home from boarding school each semester break can add up to a financial burden threatening their ability to work where they do. AIM AIR seeks to provide relief for missionaries like these, sharing some of the operating costs for the flights they need. In January, as conflict roiled and brewed around town, we packed up and left Zemio in a controlled evacuation. To all the good pilots of AIM AIR: thank you for risking planes and personal safety to retrieve folks like us. Our lives can’t possibly be worth your own, and yet you come for us.